Fifty years ago, there was a classic film released that really changed the genre. 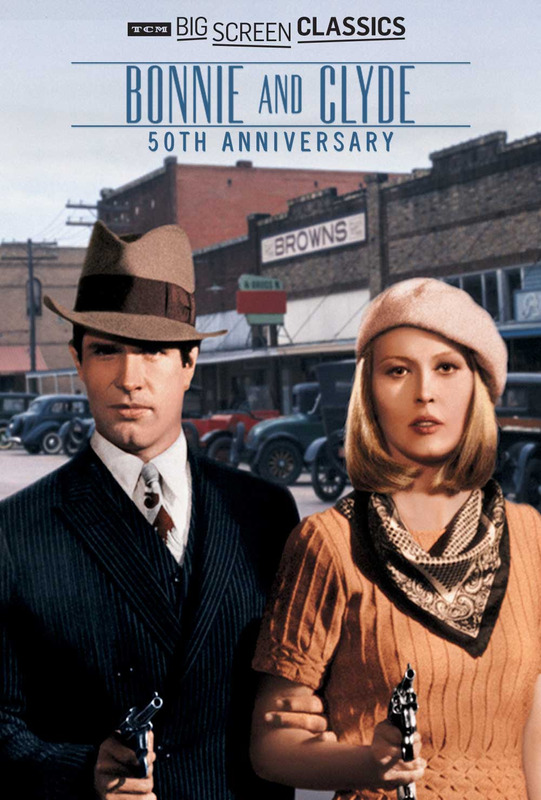 Produced by and starring Warren Beatty, Bonnie and Clyde loosely told the true story of Clyde Barrow and Bonnie Parker, notorious bank robbers during the 1930s. Clyde Barrow (Warren Beatty), an ex-con, is caught by Bonnie (Faye Dunaway) trying to steal her mother’s car. Enamored by his criminal lifestyle, Bonnie joined him in a bank robbery as the pair began a love affair. The Barrow gang added Clyde’s brother Buck (Gene Hackman), Buck’s wife Blanche (Estelle Parsons) and mechanic C.W. Moss (Michael Pollard), and they moved around Texas and the central states robbing banks and getting into shootouts with law enforcement. This movie was groundbreaking because of the violence that it showed. For the time, the violent shootouts were very graphic and the blood was shown as well. Of course, it was tame in comparison to today’s standards, but this film led the way in what a movie could show. Beatty and Dunaway had tremendous chemistry with one another and you truly believed that these two were the wild loves. This was also one of the first films that shows their main protagonists as criminals, anti-heroes. Bonnie and Clyde are extremely likable and easy to support. The ending was a dramatic moment that came out of nowhere. SPOILERS. The ending was just like real life. In a set up, Bonnie and Clyde are gunned down in a hail of bullets by police officers including Frank Hamer (Denver Pyle). Then the movie ended right there leaving the viewing audience shocked and wanting more. I teach plot in my literacy class and we talk about the climax of a story being followed by falling action. There was no falling action or conclusion here. It took the climax of the film and just threw up the “THE END” on the screen. There was not even any boxed text like you see in other real life stories where they have info on the screen for the audience to read. It was just done. That made this ending all the more unbelievable. Bonnie and Clyde was a great film with a shocking ending and two extremely charismatic leads. The film won two Oscars as well. 50 years later, this film certainly holds up.